Why Travelling in Japan is Like Nowhere Else in the World. About this post: Is Japan worth visiting? After a month of travelling in Japan, here is a glimpse of what Japan is like and all my reasons why you should visit Japan. Although there are many reasons to visit Japan, in this Japan travel blog post, I’ve focussed on what sets the country apart from others and makes Japan worth visiting. I dreamed of visiting Japan for a long time. I devoured stories of Tokyo’s quirky contrasts, streets lined with cherry blossom and indulgent toilets from friends who had been there, and of Samurais and Geishas from movies and books I had read. But when I finally landed in Tokyo, it struck me that I had no idea what travelling in Japan would be like. Which are dedicatedly cleaned by their owners from 10 am to 4 pm daily! The atomic bomb of 1945 raised the entire city to the ground; only this dome-roofed building remained. Look out for a red line at the bottom, which indicates hot. Made of soybean; exotic flavors include horse chestnut, matcha, red bean, ume and sakura. And even try mastering the art of Samurai swordsmanship! What are your reasons to visit Japan? *Note: I wrote this post in collaboration with Japan Tourism. Opinions on this blog, as you can tell, are always mine! 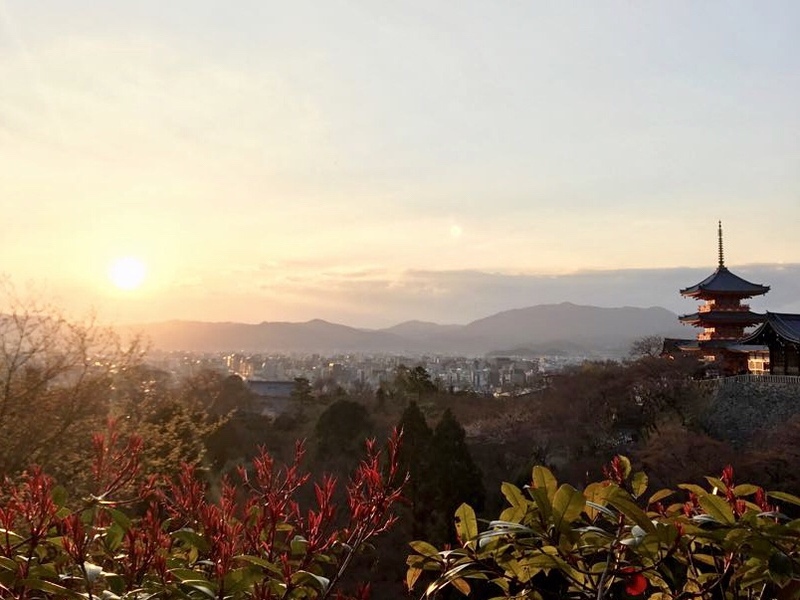 For all of the reasons that you stated and hopefully to make and meet some new friends are all the reasons that I want to go to Japan Lovely post! Now I desperately want to visit Japan for bento- box,sakura, shinkasen,onsen,cedar forests,Samurai,Mochi…..Thanks for sharing your experience. I have come to Japan a week back and will be staying here for my studies for 3.5years. I wish to trod around the country like you did. So can you please share your itineraries of four weeks? I won’t be able to do it in one go but would love to go around in manners similar to yours. I search on google where to travel in my summer vacation and Reached your post and I feel Japan is best places to my next trip, This places is awesome for travel. Thanks for Sharing. Arigatou gozaimas for the post. My Favourite country too. Have lived there for a year and been on a few short trips. Still my thrist to go back to Japan never ends. Awesome place indeed and not to forget how warm the people are. Perfect, thank you for sharing with us these beautiful pictures about your experience in Japan. So, finally as you said you are holding a Samurai Sword. Was it very heavy? Nice way to show most of Japan in a single post,like movie posters of 90s. Hey shivya… I have been following your travels for 3 years now and admire the way you explore the world. But out of some superb coincidence this time your blog came up on my feed while I was waiting at Narita airport bidding adieu to Japan after a 10 days trip here. Your blog took me through a rewind of memories from the last 10 days. An absolutely fitting summary you have shared about the country. The people and their kindness surprises me as to what has made them so (And if there’s a way to bring that to India and in Indians 🤔).. beyond that, the impeccably clean city despite being overpopulated has been a startling realization too. Perfection in everything they do, from wrapping papers to tiny chopstick rests, everyone should experience it’s culture and people at least once. so beautiful pictures and also is a informative post ! thanks for sharing and keep it up ! I am even more excited to head to Japan. Hopefully one day soon I can afford to get there! I love Japan, especially for their food. Thanks for this wonderful blog. I Really love japan for their foods an technology. You are one amazing human…..
My parents are travelling to Japan on 1 May. Would be great if you could tell us how they could ask Vegetarian food. How did you ask for vegan/veggie food? I am going soon and want to know. Definitely don’t want to stay hungry there!! Every menu card i looked through so far, even the vegetarian friendly ones, have seafood (crab, fish) marked as vegetarian And it breaks my heart to see that! 🙁 Do tell! We just came back from 3 weeks Japan during the sakura season and loved it. What was your best memory about your Japan trip? Have seen many videos about Japan. And this small country seems so beautiful. A visit to this country is a must for every traveler. I want to become like yuhh..
Well said about Japan. We didn’t have time to visit the same diversity of places as you in Japan this year. I have always wanted to go to Japan and almost got there until the Tsunami came along. You have inspired me to make it happen sooner rather than later. Visited Japan for first time in May 2018, absolutely loved it. Clean, organized, safe, polite and helpful people, and so much to do, I feel like there is something for everyone. 10 days was certainly not long enough, would love to go back. Previous PostWhat Solo Travel Has Taught Me About the World – and Myself. Next PostMeet the First Solo Female Traveller from the Maldives!